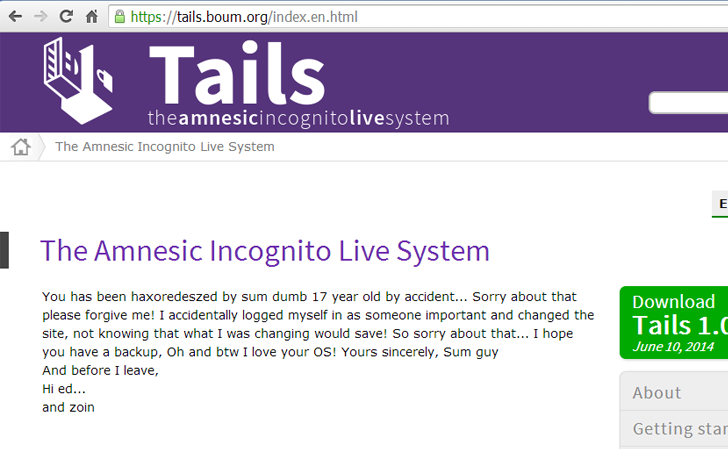 Tails, also known as 'Amnesiac Incognito Live System', is free software based on Debian GNU/Linux and you install it on a DVD or USB drive, boot up the computer from the drive. This allows you to work on a sensitive file on any computer and prevent the data being recovered after the computer is turned off. I will update the story after receiving more details on the hack. Stay Tuned.